Conditioning your wiggly puppy's coat is easy with this convenient quick spray bottle. The spray works at any angle for effective application, so it's great for getting in harder to reach areas. PAW Puppy Conditioning Mist moisturises, strengthens & detangles your pup's coat. 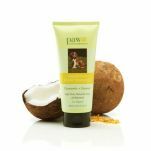 It's alcohol free formula and gentle enough to nurture young skin while keeping the coat in great condition. Use after shampooing or just spray it on in between washes to give your pup a freshen up. Rich conditioning & moisturising agents for coat & skin health. PAW Puppy Conditioning mist is particularly helpful for breeds which are more susceptible to skin sensitivities later in life, such as terriers, retrievers and german shepherds. Ingredients: aqua (purified Australian water*) *BP 2000 standard, cetrimonium chloride, glycerin (vegetable), polysorbate 20, lactic acid, sodium hydroxymethylglycinate, panthenol, cyamopsis tetragonoloba (guar) gum, Citrus Aurantium Dulcis (orange) oil, Hydrolysed Oats, Anthemis Nobilis (roman chamomile) Flower Oil, Simmondsis Chinensis (jojoba) seed oil, Cocos Nucifera (coconut) oil.